Justice League—which already has Ciarán Hinds and Jason Momoa—has another Game Of Thrones alum set to appear. 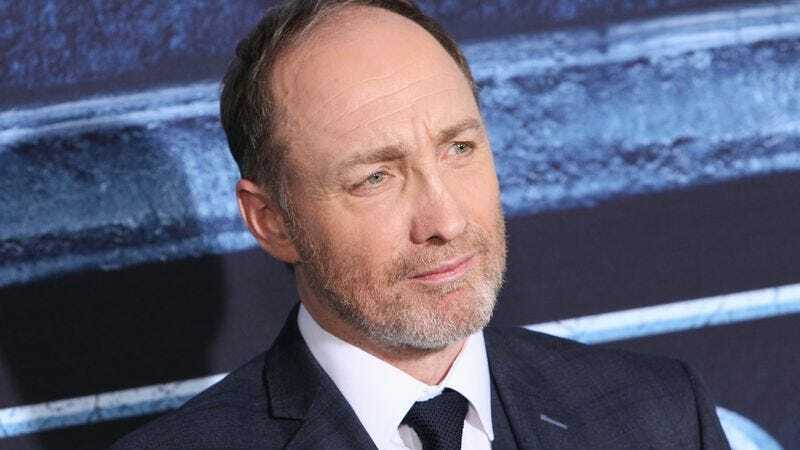 In an interview with Red Carpet News TV, Roose Bolton himself, Michael McElhatton, vaguely discussed his role in Zack Snyder’s superhero extravaganza. McElhatton wouldn’t say just how he’s involved, and even alluded to the fact that his part could be cut. However, he did try to make the case that the film isn’t just going to be a dour slog, something Snyder has been trying to push for a while. “There’s probably going to be a lot more humor in it,” he said. “I think would probably be the main difference compared to the previous one.” But McElhatton also noted the “big” opening scene that he filmed “was pretty dark, actually, in its tone.” He added: ”But in a good way. I quite like that, and it wasn’t comic book-y. But I think you can thread a certain amount of humor through it, which maybe the previous one was lacking.” So it’s both moody like every other Zack Snyder DC film, but also, you know, funny. Got it.